You will love the location and stunning views of Murrays Bay beach and wharf from this property. A two bedroom home in original condition sits on the 1,012m2 site - a perfect building platform - and the unitary plan makes this an excellent investment site to build on. 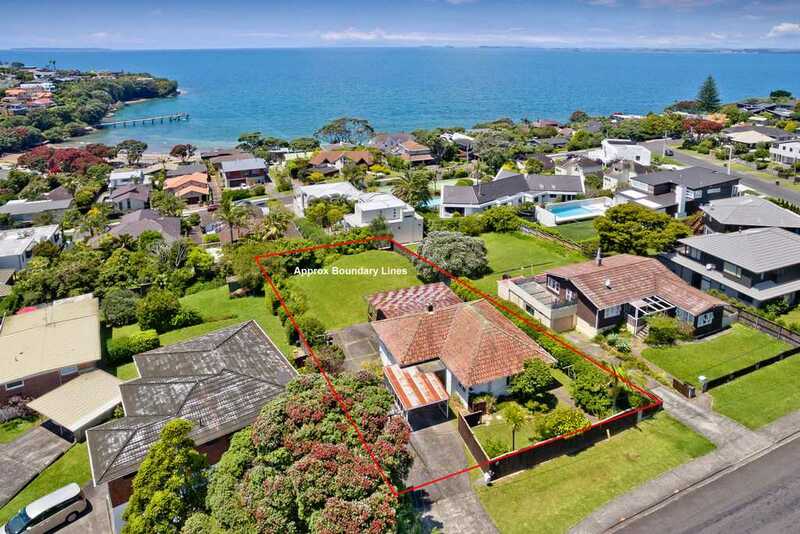 North facing and sunny, 15 Scarboro Tce is located a short walk to both Murrays Bay beach and Mairangi Bay beach, village and shops. Wander to the beach for a quick dip or to the village to enjoy a coffee at the many cafes and restaurants on offer. Excellent schooling in the area - walk to Murrays Bay School, Murrays Bay Intermediate and Rangitoto College. Don't miss this opportunity to buy unit capable land in this exclusive area. Call River or Brianna to view.